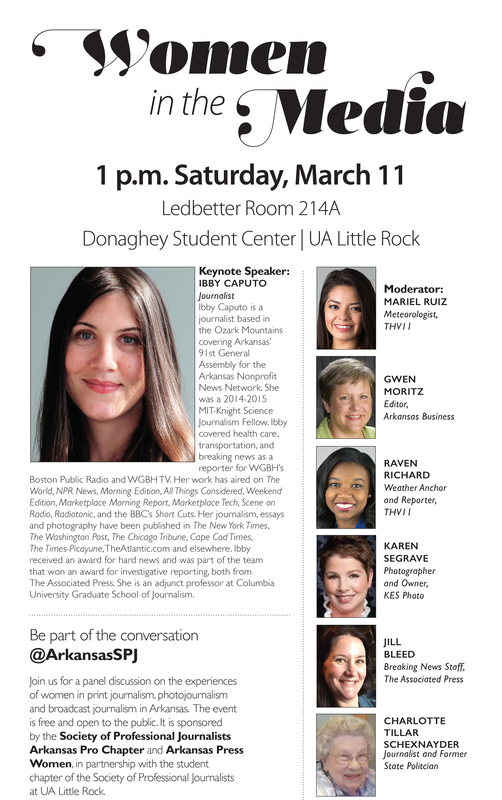 Ibby Caputo is a journalist based in the Ozark Mountains covering Arkansas’ 91st General Assembly for the Arkansas Nonprofit News Network. She was a 2014-2015 MIT-Knight Science Journalism Fellow. Ibby covered health care, transportation, and breaking news as a reporter for WGBH’s Boston Public Radio and WGBH TV. Her work has aired on The World, NPR News, Morning Edition, All Things Considered, Weekend Edition, Marketplace Morning Report, Marketplace Tech, Scene on Radio, Radiotonic, and the BBC’s Short Cuts. Her journalism, essays and photography have been published in The New York Times, The Washington Post, The Chicago Tribune, Cape Cod Times, The Times-Picayune, theAtlantic.com, and elsewhere. Ibby received an award for hard news and was part of the team that won an award for investigative reporting, both from The Associated Press. She is an adjunct professor at Columbia University Graduate School of Journalism. Jill Bleed, breaking news staffer at The Associated Press in Little Rock. A native of Iowa, Jill has lived in Arkansas since 2003, when she moved to Little Rock to work at the Arkansas Democrat-Gazette. She joined the AP in 2006 and now handles top breaking stories in Arkansas, Oklahoma and Texas. She also serves on the executive committee of the News Media Guild, the union representing workers at AP, UPI, The Guardian US and the Spanish news agency EFE. She holds a bachelor’s in journalism from the University of Nebraska-Lincoln.